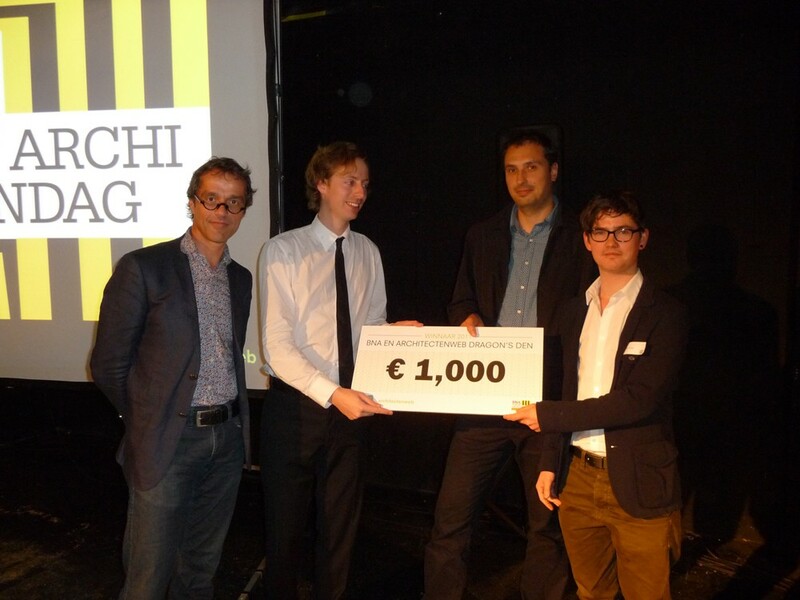 With their proposal ‘Create Your City’ [S!MPL] (Environmental Psychology and Architecture) was named winner of the BNA Architectenweb Dragons’ Den during the Young Architects Day 2011. The theme of the event was collaboration. The BNA (Royal Institute of Dutch Architects) and Architectenweb organized a competition for the best idea for a new kind of collaboration. During the Drangons’ Den 8 teams presented their ideas in two rounds. The teams were judged by Marijn Schenk (Next Architects), Michiel van Raaij (editor-in-chief of Architectenweb) and Fred Schoorl (Director of BNA). In the end it was [S!MPL] that was named the winner with their proposal ‘Create Your City’. ‘Create Your City’ endeavours to change the traditional planning process. It facilitates new formats for planning by creating an platform that enables enthusiasts, governments, architects and other professionals to post their ideas and plans online. Through social media (facebook, twitter, etc.) people can react to these plans. When an idea or plan is detailed enough and has gathered enough support, it can be realized. [S!MPL] introduces an important new player in the planning process; the environmental psychologist. The environmental psychologist addresses the interaction between man and his environment. The influence of the environment on man and vice versa. Important themes are: navigation and orientation, crowding, perceived control, social interaction, restorative effects, etc. The environmental psychologist researches the needs of the future user, while acknowledging the complex relationships between different kinds of behaviour. According to Architectenweb [S!MPL] tries to “bridge the gap between the needs of residents and companies and the designs and developers” with their proposal. The Dragons’ Den prize money will be used to start up the online platform ‘Create Your City’. 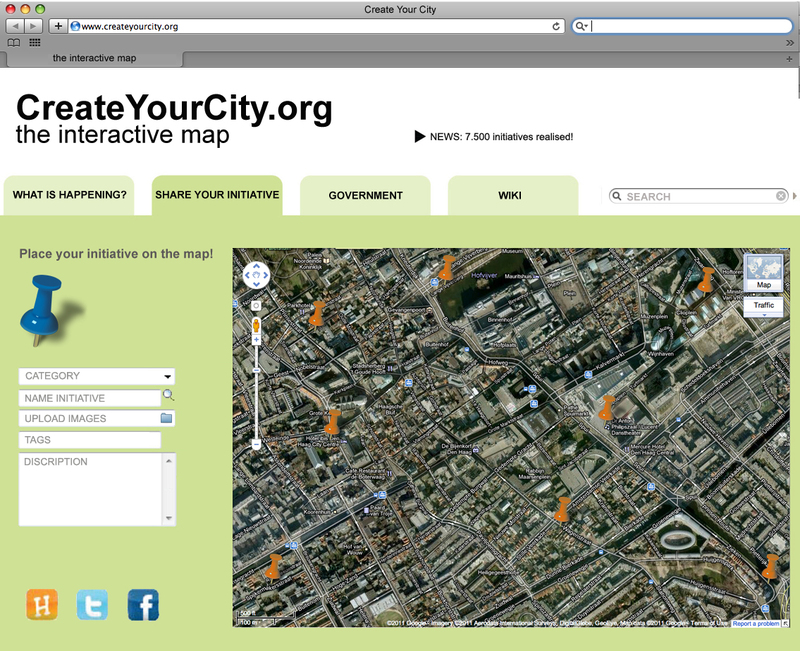 ‘Create Your City’ is based on the knowledge and experience gained from research lab ‘Vrijstaat’ by the Government Buildings Agency, a project for innovative resident participation for the Municipality of Melbourne and ‘Create Your The Hague’ at the Today’s Art Festival 2011. This entry was posted in Press release and tagged Architectenweb, BNA, competition, createyourcity.org, S!MPL by simondroog. Bookmark the permalink.